From day 1, the Non Stop instructor course added value to my skiing experience!! After the technical session with Jens Mende, I realized that my ski boots were not ideal, and it was causing unnecessary knee pain. Topshelf was recommended to help me out, and boy did they just do that! These guys specialize in building custom ski boots called the TS1. Donny and Ryland evaluated my 8 year old ski boots, my feet and lower legs; I could tell from the look on their faces that my feet and leg dimensions did not match up with my current ski boots at all. Luckily I didn’t buy boots of the shelf on our arrival in Fernie, so the option of getting customized ski boots was open. I grabbed it with both hands!! After a short negotiation in our native language, and Justinus getting new powder ski’s out of the deal, we agreed for the process to begin. They have all kinds of machines and tools to custom fit a boot, and lots of experience in the field. Pointing out that I have a bunion on my right foot, they just smiled and said “no problem, we have a tool for that!”. I thought they were joking….they do not joke about feet problems, they only have solutions! If they have all the ingredients available, it will be about a day or two to get your boots out the door for testing, but you don’t want to rush it anyway. Raptor 115 RS Race Ski Boots – The Shell of my new boots! The first step was getting the right shell for my feet. 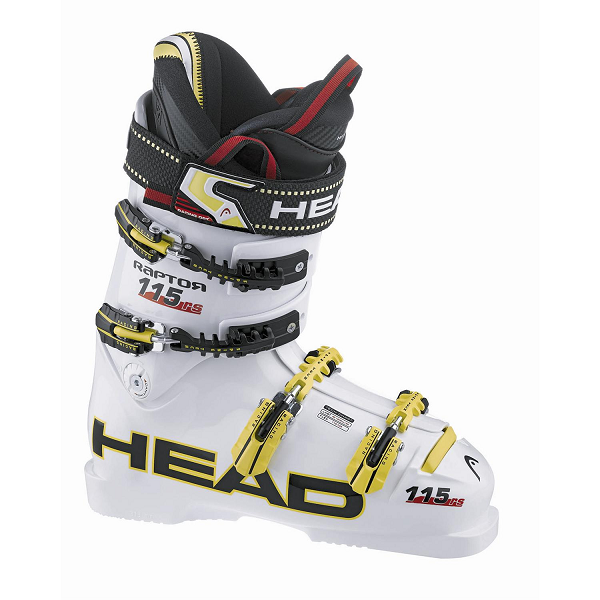 They had a look, consulted and decided on Head Raptor 115 RS Race Ski Boots. Here the client doesn’t have a lot of choice, but to trust the experts. The next step was customized foot beds. The foam injection was the last step before testing and tweaking, here I had a say on the colour of the socks that I prefer. I appreciated the fact that Ryland prepared me for the process, as it was a bit uncomfortable to stand in the boots while the foam was compacting my feet within. Throughout the process, Ryland’s experience and expertise on boots and skiing was making me more and more comfortable with the process and I knew I was in good hands. The glass of smooth French red wine welcoming me to the TS1 gang was the cherry on top! 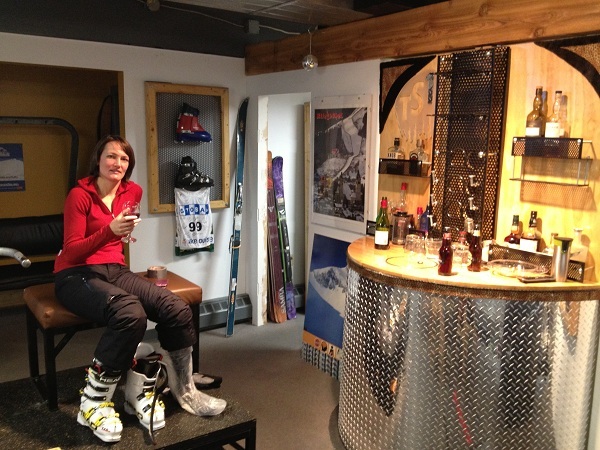 Having a nice Red wine while fitting the best ski boots in the world! In the days to follow the main focus points would be comfort and alignment. I needed to work out the air in the foam and my alignment would be tested continually. The alignment is tweaked by sticking strips of wedges with duct tape. Ryland said that I should keep on coming back, until I am of opinion that it is the best ski boots that I’ve ever worn. The next week, Ryland worked somewhere else and Donny continued the process. Monday afternoon Donny tested the alignment intensely and the results started to become consistent, by the next day we had the best stance! The duct tape were taken of the final result was made permanent. I walked out with the best ski boots in the world! If you ever need custom fit ski boots, look them up in Fernie! This entry was posted in Nonstop Ski Instructors Course, Settling in on 2013/02/04 by Justinus.